We discuss the role of the canonical superenergy tensors. This paper was mainly supported by Polish Ministry of Science and Higher Education Grant No 505-4000-25-0976 (years 2011–2013). 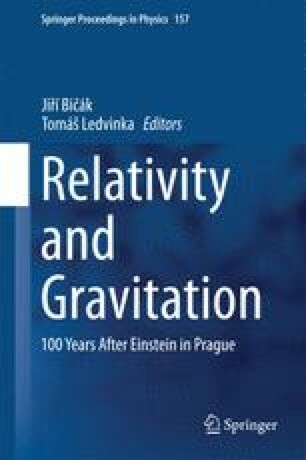 Author also would like to thank Professor Jiří Bičák for possibility to deliver talk during the Conference “Relativity and Gravitation – 100 years after Einstein in Prague”.